11/16 3:30pm Update: This maintenance will be on hold until the new features are tested further. New date will be announced soon. Cancelled: MCS, ProDev, and LMSCourseDev Moodle systems will be OFFLINE for system maintenance starting at 8AM on Saturday 11/17 to apply system updates. We anticipate that the maintenance will be completed between 8AM-10AM during which time only these Moodle systems will be unavailable. 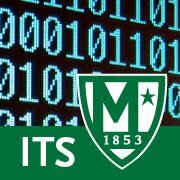 The main Moodle system (lms.manhattan.edu) will not be affected.